Beach House In Glen Stewart Estate - Glengariff Accommodation. 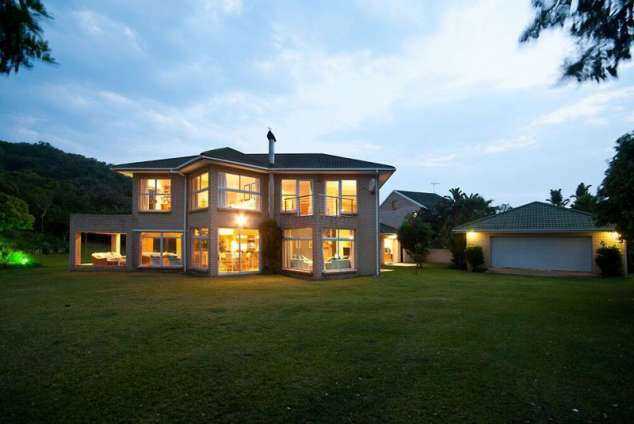 Situated on the pristine Jikeleza East Coast, this modern architecturally designed 4 bedroomed north-facing home is nestled up against the sea bush in a secluded estate. With private access to the beach only a minute's walk away, surrounded by well-known bathing and surfing beaches and within a few minutes' drive from Inkwenkwezi Game Reserve and Olivewood Golf Estate. This double story home sleeps 8 people and offers stunning indoor/outdoor living area's with two fire places. An outside bedroom en-suite is an extra. There is DSTV - each of the 3 Tv's have their own decoder so different channels can be watched. 109 page views since 05 Mar, 2019. Last updated on 13 Apr, 2019.